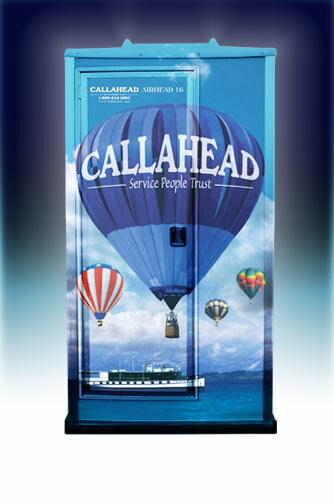 Since 1976, CALLAHEAD has provided portable sanitation equipment for a variety of private and commercial purposes. 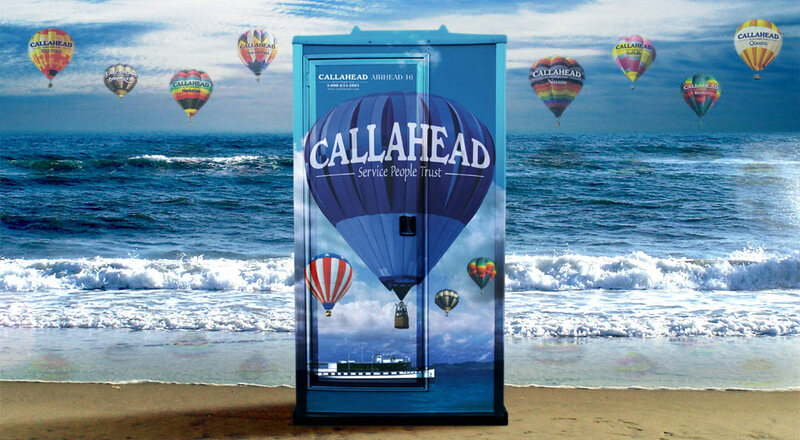 CALLAHEAD offers the most modern, state-of-the-art equipment. 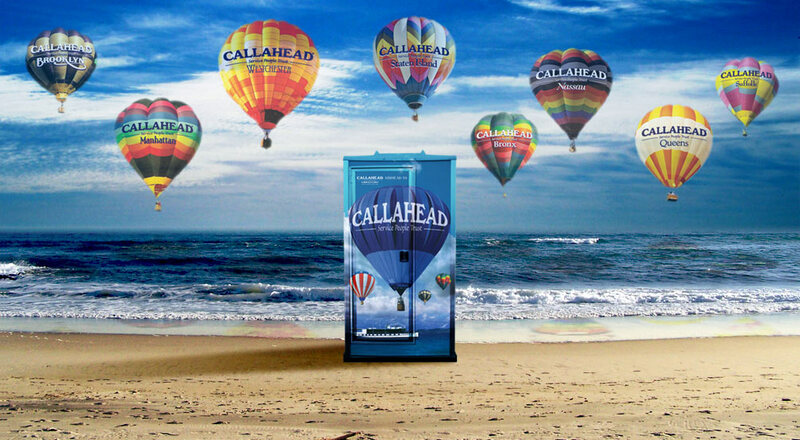 Now, CALLAHEAD is proud to introduce The Airhead 16 portable toilet with hot air balloon designs! The Airhead 16 porta potty exceeds all expectations in the restroom business. At CALLAHEAD, we pride ourselves in our careful attention to the portable toilet needs of our customers. The fun balloon-like design of The Airhead 16 makes a trip to the bathroom a whole new experience. Using balloons to exploit our company colors of blue, white and silver The Airhead 16 attracts all users, simply because... Everybody loves a balloon! Especially kids! The Airhead 16 portable toilet is designed much like guests might find in their own home. For your personal convenience, The Airhead 16 porta potty comes fully equipped with a dual roll toilet tissue dispenser, a toilet seat cover dispenser, a stainless steel deck mount soap dispenser and a single fold paper towel holder. The Airhead 16 special events portable toilet is specially designed to be a completely odor free porta potty. It is also solar powered, requiring absolutely no power or water supply to operate. Cleanliness is also of major concern. Special event coordinators and rental companies often have clientele with high expectations and will turn to upscale restroom facilities for that reason alone. Fabricated from smooth marine grade plastic construction, The Airhead 16 is completely dirt resistant and its durable and pristine white and light grey interiors project an ambience of ultra cleanliness. 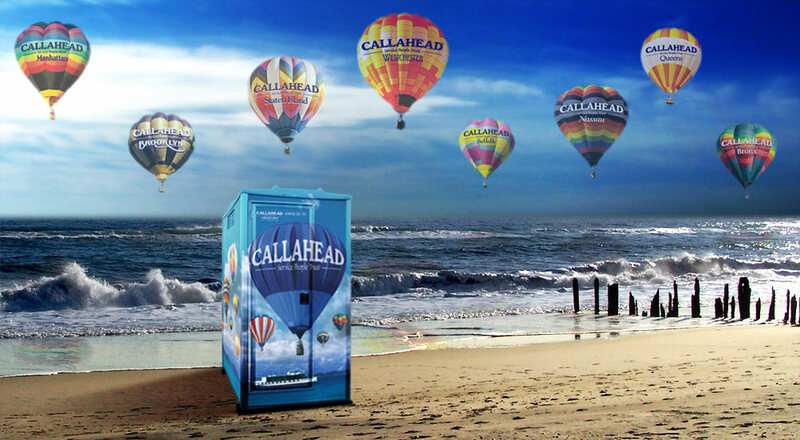 CALLAHEAD is dedicated to providing clean and well-maintained portable toilets. We offer only the highest quality restrooms and dependable service. For your comfort, we use only the best cleaning and deodorizing chemicals on the market. 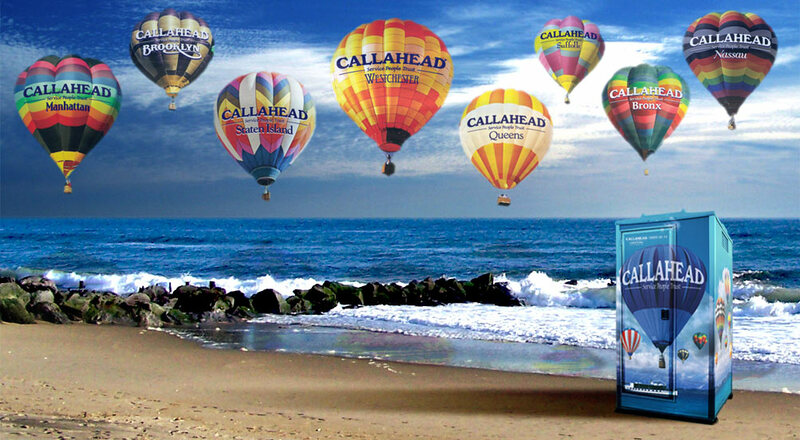 When you need the very best, look no further than CALLAHEAD! • Any Type of Special Event! The AirHead 16 Portable Toilet with Balloon Design, for your Special Event! Hand Washing Sink for Cleanliness!